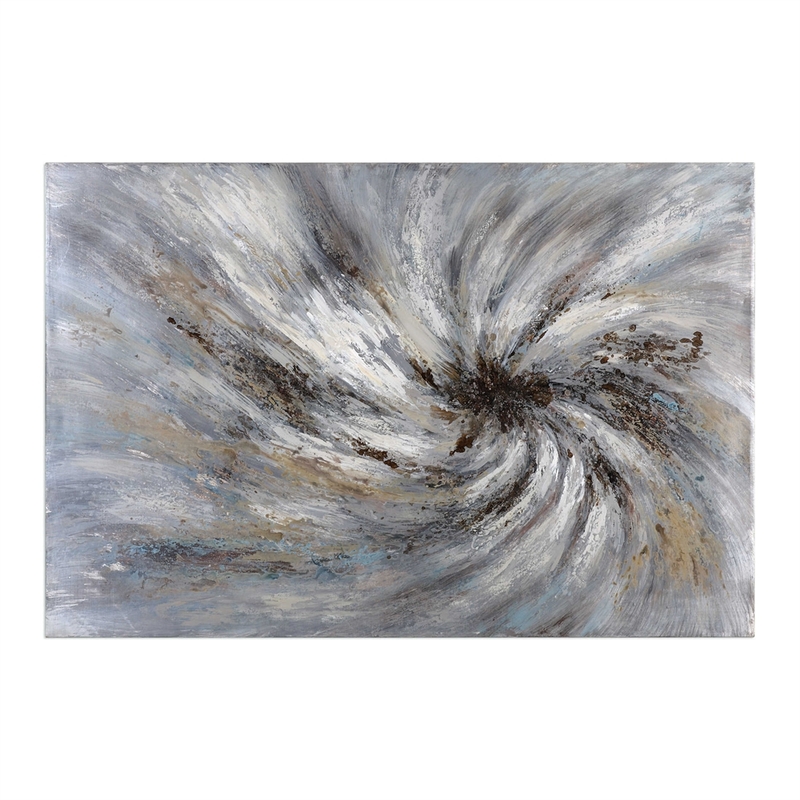 Mesmerizing, hand painted artwork on canvas featuring an array of earth tone colors including silver, gray, bronze and white. Canvas is stretched and applied to wooden stretchers. Artwork comes ready to hang. Due to the hand crafted nature of this artwork, each piece may have subtle differences.